New evidence shows the patient receiving nonsteroidal anti-inflammatory drugs (NSAIDs) is at increased risk for developing a venous thromboembolism. NSAIDs are commonly prescribed for people with pain. Personal injury attorney may see these drugs used as treatment for accident victims. These side effects sound pretty benign, but there are also serious complications associated with NSAIDs. Patients may develop stomach bleeding, allergic reactions, kidney problems and heart problems. Now a new hazard has been identified. Researchers in New York studied 6 studies with a total of 21,401 venous thromboembolism events. The researchers found a statistically significant increased risk of blood clots among patients who took NSAIDs. 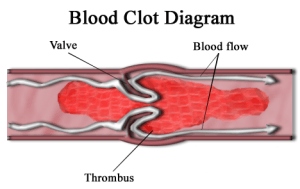 A venous thromboembolism is a blood clot which causes pain, swelling and discoloration of the affected limb. Although it can form in an arm, it is more typically seen in a leg, and is called a deep vein thrombosis. When the thrombosis breaks away from the wall of the blood vessel and travels into the circulation of the lung, a life threatening condition develops. 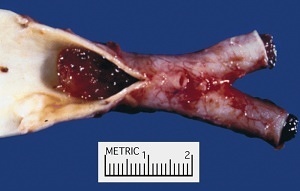 The blood clot can cut off circulation in that part of the lung. People with a pulmonary embolus are usually short of breath, breathe rapidly, have chest pain, cough, may spit up blood, have a rapid heart rate, may be dizzy, anxious and have crackles in their lungs. A large clot that blocks pulmonary circulation may kill a patient. Up to 20% of patients who develop a pulmonary embolism die before diagnosis, and up to 11% die in the first three months even with adequate treatment. The medications which treat venous thromboembolism carry their own risks. 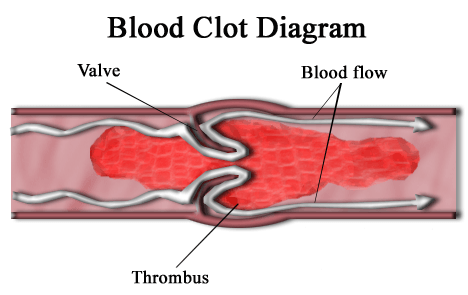 Patients who develop pulmonary and deep vein thrombosis require treatment for 3 months. Low molecular weight heparin and oral anticoagulants increase the risk of bleeding. One of the scenarios we see in our legal nurse consulting company involves patients on anticoagulants who suffer some type of trauma, often a fall with a head injury. This can result in devastating intracranial bleeding. This is the worst cascade of complications: a motor vehicle accident which leads to pain, which leads to NSAIDs use, which leads to a deep vein thrombosis, which leads to a pulmonary embolism, which leads to needing heparin, which leads to increased risk of bleeding. Add in a fall with head trauma and the consequences can be fatal. Med League nurses help attorneys summarize and analyze medical records of patients involved in personal injury incidents. Contact us for help understanding the medical issues of your case.